Renovating your home is exciting, in theory. After all, who doesn’t want to spruce up their digs? Ah, if only it were that simple. 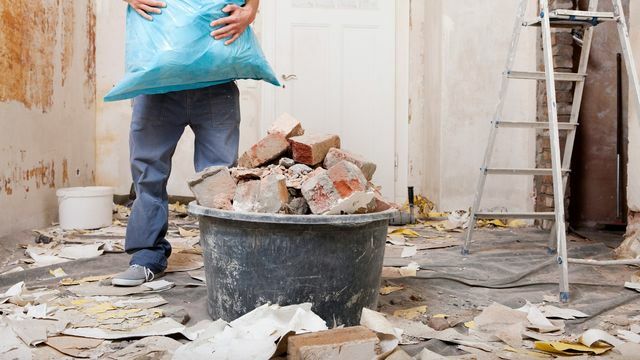 As proof, check out these home renovation cautionary tales and the hard-fought lessons you can take from them. “Do not plan on everything going smoothly,” cautions Liz Evans. The homeowner in American Fork, UT, undertook what she assumed would be a simple renovation in 2016. Lesson learned: Though not all problems can be anticipated, homeowners can prepare for the worst. Ellie Mroz, interior designer and part of the team at Michael Robert Construction, suggests that when it comes time to purchase items such as tile, flooring, or wallpaper, clients exceed the necessary amount by 10%. “If there’s damage and you need to redo an area or make a repair, you’ll have extra from the same dye lot,” she says. When Long Branch, NJ, resident Vincent Edward‘s home sustained extensive damage during Hurricane Sandy, he wanted it repaired and made livable as quickly as possible. And that led him to cut some corners, mainly by hiring pals to get the job done fast and economically. His troubles didn’t end there. “Mold started growing though the caulk, so then I had to have the guy come back and rip out all the old caulk and reseal the thing properly,” he adds. When Charles Garrett of West Hollywood, CA, gutted his outdated kitchen, he relied on his trusty microwave to see him through. Initially, it worked out fine. He’d grab a frozen meal on his way home from work, nuke, and enjoy. But as days turned into weeks, he quickly exhausted all the packaged dinners he could tolerate. To this day, Garrett says the sound of the microwave’s gentle whirring makes him feel bloated. And nauseated. Lesson learned: Make plans for necessary lifestyle adjustments well before your project is underway. When building an addition to her home, Margaret Russo of New Jersey decided to spare the additional expense of having the exterior painted professionally. “I always enjoyed painting the interior so I figured, ‘How different could it be to get a ladder and tackle the outside? '” Russo says. But what she had in can-do spirit she lacked in the balance department, she says. She fell backward off an 8-foot ladder and went to the ER. Lesson learned: Know what you’re the expert in and what you’re not, advises Mroz. And, oh yeah, you could break your neck, too.